January 25th (January 12th Old Style) is commemorates the death of the 3rd Century Christian martyr, St. Tatiana of Rome. St. Tatiana was a pious young woman, who was brought up by her father as a Christian and became a deaconess of the fledgling sect in Rome, when it was still in hiding from the authorities. She was captured and ordered to make a public renunciation of Christianity by making a sacrifice to the Roman deity, Apollo. Legend says that Tatiana prayed for deliverance, and an earthquake shook the ground, toppling and smashing the marble statue of Apollo. The Romans then gouged Tatiana’s eyes out with a hook and threw her into a pit with a hungry lion. The lion curled up at her feet and purred peacefully. Ignoring all these really quite obvious signs that she knew what she was about, the Romans then beheaded her. Legend says that Tatiana prayed for deliverance, and an earthquake shook the ground, toppling and smashing the marble statue of Apollo. The Romans then gouged Tatiana’s eyes out with a hook and threw her into a pit with a hungry lion. The lion curled up at her feet and purred peacefully. Ignoring all these really quite obvious signs that she knew what she was about, the Romans then beheaded her. 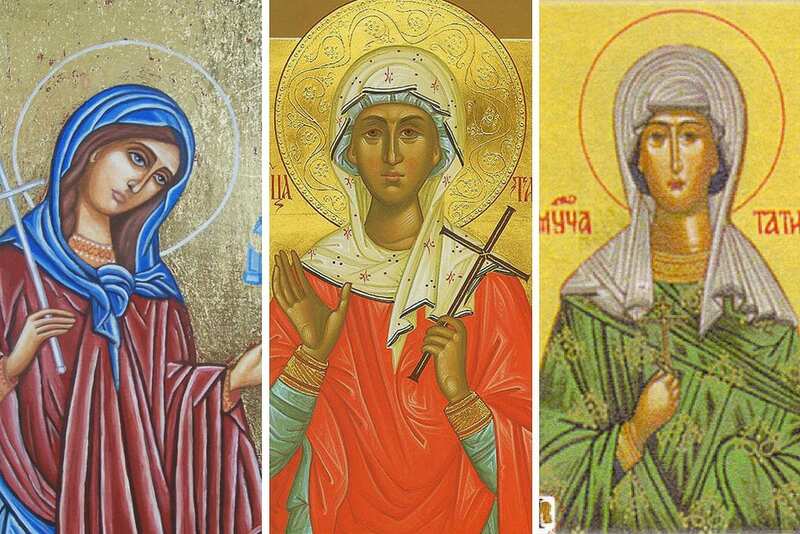 Tatiana and the day commemorating her death might have slipped unnoticed into the Church calendar as yet another saint’s day, but historical events took over. On January 25 (January 12 Old Style), in 1755, Empress Elizabeth founded Russia’s first University: Moscow University, noting that: “Any good comes from an enlightened mind, and evil is eradicated thereby.” Credit for founding the University goes to Mikhail Lomonosov, a prominent Academician and Professor of Chemistry, and the well-connected courtier I.I. Shuvalov, who served as the university’s first Curator. Prominent alumni include writers Anton Chekhov and Ivan Turgenev, Nobel Laureate and Politician Mikhail Gorbachev, and the artist Vassily Kandinsky. ~Anton Chekhov (writing about Tatiana’s Day in the 19th Century. In the early years, the University offered a general course in Philosophy and liberal arts from which students went on to a concentrated course in one of three branches of study: law, medicine, or philosophy. The University was housed for most of its history directly opposite Red Square, in the yellow and white classical buildings on Mokhovaya Street which today house the faculties of Journalism, Asian and African Studies and Law. In 1949, Construction began on the monumental new building of the University Complex in the Sparrow (Lenin) Hills, the largest of the “seven sisters” or “Stalin Wedding Cakes” high rises which are an integral part of the Moscow skyline. Until 1990, this was the tallest building in Europe, and until 2005, the tallest in Moscow. In 1953, the doors opened for the first academic year. Today, Moscow State University or “MGU” is the largest University in Russia with over 40,000 students who study in 39 departments, under the tutelage of more than 10,000 professors. Fees begin at € 5 900 per year which has to be the educational deal of the century. 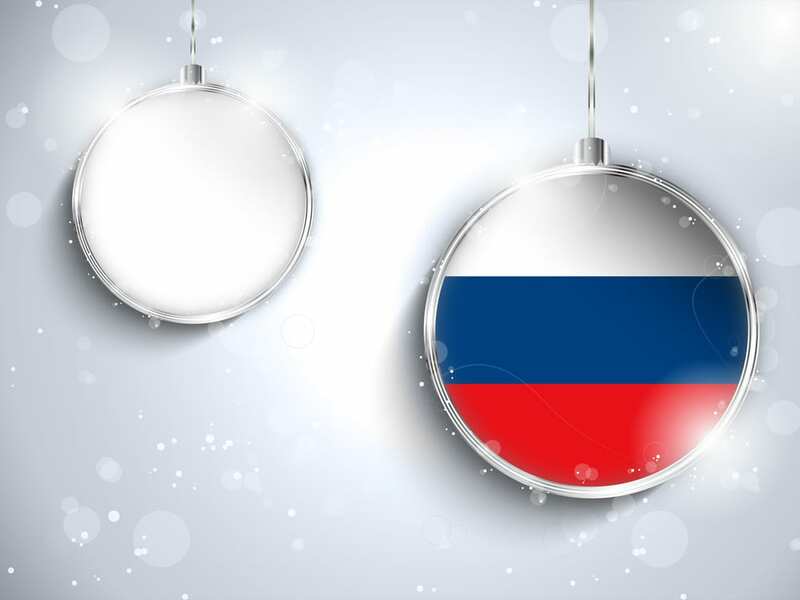 The association with Saint Tatiana and students endures to this day, and all over Russia, January 25th or “Tatianin Deyn’” is considered “students’ day,” and marks the end of exams and beginning of the winter break. Divine service is held in the Chapel of St. Tatiana, followed by speeches, prize giving, and then unfettered partying in the city streets, beginning with a traditional honey-based mead, and moving on to anything the students can get their hands on! Tthe traditional merriment that accompanies Tatiana Day has been canceled out of respect for the victims of the bomb blast which took place last night at Domodedovo Airport. Very fitting. Thanks to all who e mailed and sent messages of concern. Our friends and family are all fine, but our hearts go out to all those injured or killed in yesterday’s tragic attack. Thanks for sharing this information. We just sometimes ignore those people that were part of our history and culture. This is an added learning for me about St. Tatiana and how she became a saint. Thumbs up to your creativity, your way of writing, your narration, your intelligence and lastly your decision to write on this topic! Hats off man…keep it up. It’s amazing the whole staff are doing great with their job. Old New Year/Старый Новый год: Enough Already!! !